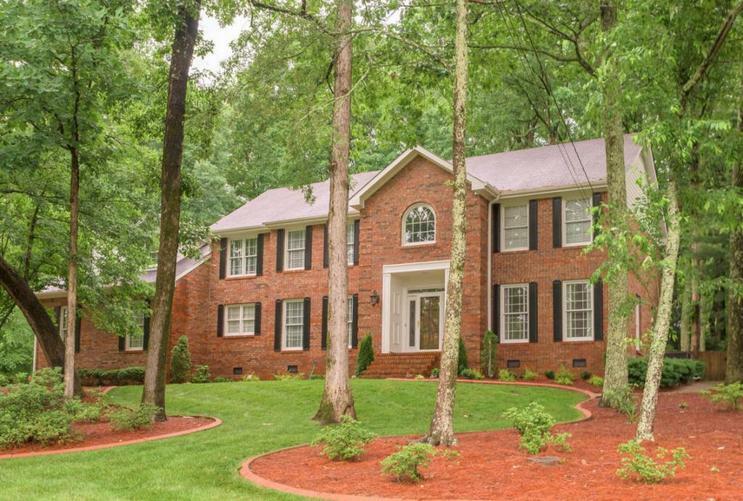 This stately, all brick home family home is located on the front of Signal Mountain in the ''much sought after'' neighborhood of Carriage Hill. 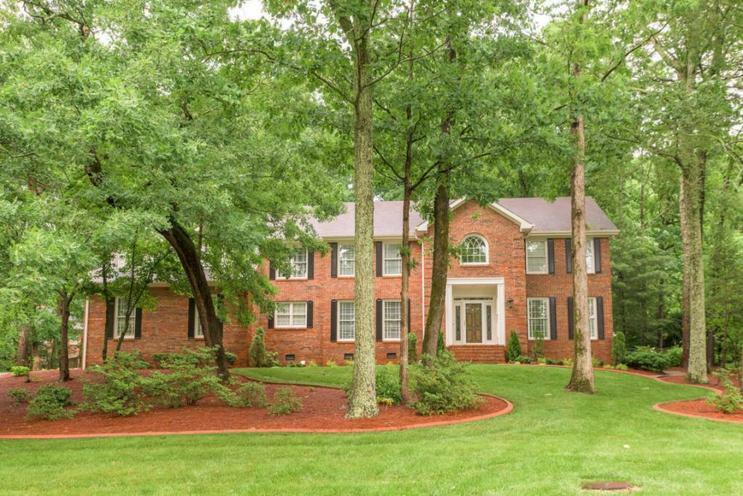 As you enter the large foyer, you immediately notice the rich hardwood floors that flow on most of the first level. The sidelights in the front door are leaded glass and the door is crowned with a traditional transom. To the right is the formal living room currently used as an office, formal dining room to the left and large family room with fireplace and wet bar straight ahead. The chef's kitchen is centered around an island with a solid surface cooktop, Bosch double ovens, dual drawer dishwasher, custom cabinetry, ample granite counter top space and a breakfast nook that looks onto the new deck. 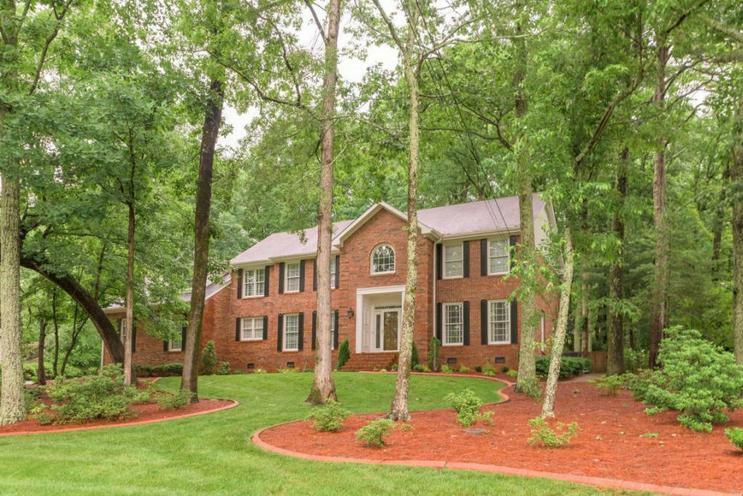 The yard is large, lush and will extend yourliving space outside for most of the year. From the foyer the staircase leads to the upper level with the master bedroom to the right at the top of the stairs and the other 3 bedrooms to the left. The large master has a gorgeous vaulted ceiling and the fabulous en suite is a complete renovation. This includes a large tiled, walk'in shower, separate soaking tub and double sinks on marble countertops. The custom closet system is all new in the large master walk in closet. Down the large hall leads to 3 additional bedrooms, with each one featuring an extra large closet and ceiling fan. The full bath in the hall provides a double sink vanity with a separate shower room for your growing family. A second staircase from the kitchen leads up to a large flex space/play area at the end of the upper level hallway. Adjacent to this large flex space is an additional room on this level that is currently being used as an exercise room but will also make a great craft room. The large oversized double car garage, professionally landscaped property and location complete this exceptional family home and there is nothing to do but move in! 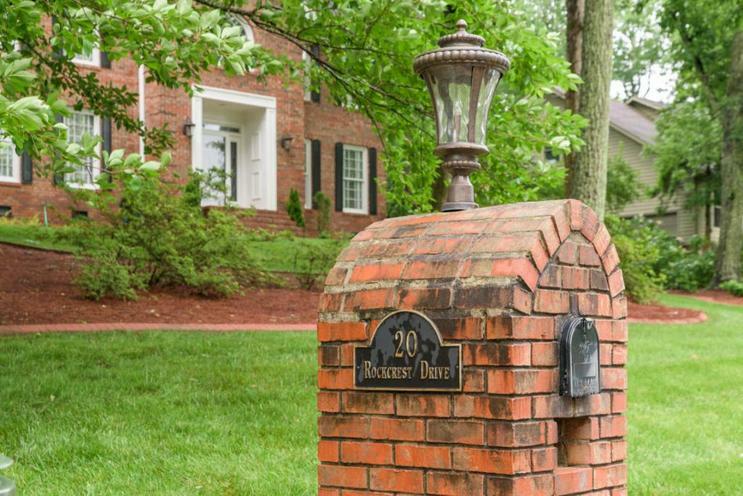 Call today for your private showing of this unique Carriage Hill home.